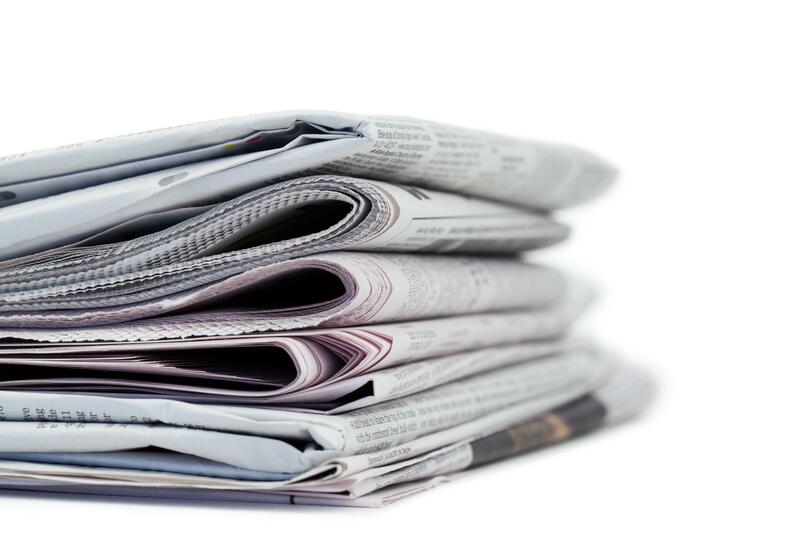 It’s no secret that American newspapers are in trouble. They are struggling to remain competitive in the ever-changing mass media market. They need advertisers to spend money to keep the newspapers afloat. Ad representatives work hard — or at least they should be doing so — to keep their clients happy. Newspapers also need subscribers to buy their publications. How do they gain subscribers to read their content and then keep them well into the future? Customer service, man. They need to put customer service at the very top of their standard operating procedure. The Internet is inflicting serious damage on newspapers. Cable TV is now full of commentators, pundits, news anchors, “contributors” and experts on every field imaginable telling viewers about the news as well as what all those individuals believe about the news that is occurring. Newspaper circulation is dropping. So is advertising revenue. Thus, newspapers are in trouble. OK, now that I’ve laid all that out, I want to share how one major American newspaper is squandering its standing in one American household . . . mine! My wife and I recently moved from one Dallas suburb to another one — from Fairview to Princeton. Before we made the move, we took out a subscription to the Dallas Morning News; our subscription was for the Wednesday and Sunday editions only. It arrived at our Fairview residence just fine. Then we moved. I called the Morning News circulation line and provided a change of address. The DMN delivers to Princeton, so we didn’t figure that would be a problem. Wrong! I guess it is a problem. We have lived in our new home for two weeks and we haven’t seen a newspaper yet. It’s not in our front porch, or on the front lawn, or the driveway or even in the street next to the curb. Nothing! We have called every day since we missed our first DMN. Nothing has happened. I get excuses about the paper’s inability to hire competent delivery personnel as well as promises that it would come in the next day . . . or two. Again, nothing. I offer this as an example of how one major publication is pis**** away a chance to lure and keep a subscriber. That would be me. Hey, I am a newspaper reader of long standing. If only the newspaper I want to read could make good on its pledge to deliver it to my home. There’s a lesson here. Newspapers are floundering. Many of them are failing. I want the Dallas Morning News to heed the warning sirens that are blaring all across the nation. 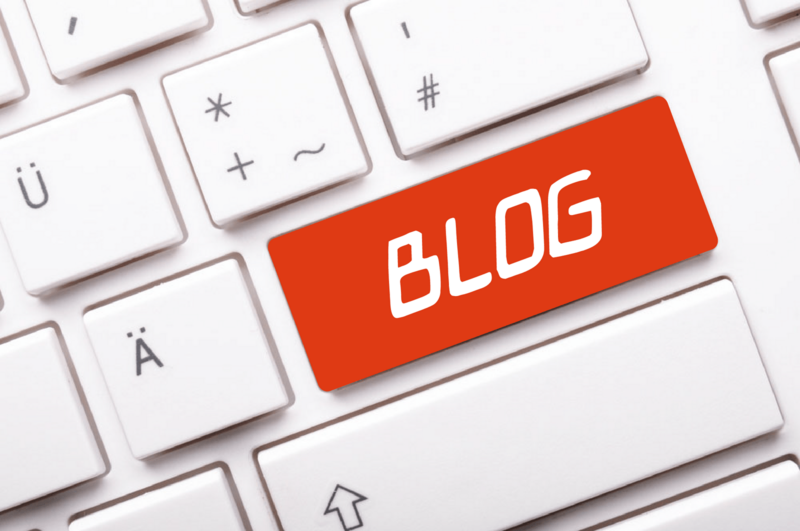 I’ve blogged already about my membership in the National Conference of Editorial Writers, a professional group whose title is self-explanatory. NCEW sponsored overseas journeys for those of us who wrote or edited opinion commentary for a living. A landmark journey occurred for me in the fall of 1989. It was my first extended overseas adventure that didn’t involve service in the U.S. military. That’s part of this brief chronicle of a chapter in a career that brought me great joy and excitement. In 1989, NCEW put together a trip to Southeast Asia. I got permission from my bosses at the Beaumont (Texas) Enterprise to go along. The trip would begin in Bangkok, Thailand; it would proceed to Hanoi, Vietnam; then to Phnom Penh, Cambodia; then back to Ho Chi Minh City (which the locals still refer to as “Saigon”). It was a fabulous sojourn to a part of the world some of us had seen up close two decades or so earlier while we served in the military. We toured the Hanoi Hilton prison where U.S. prisoners of war were kept; we toured the killing fields of Cambodia where the Khmer Rouge committed horrific acts of genocide against their own people; we saw the lake in Hanoi where the late John McCain was captured in 1967; we met with dignitaries in all three countries; we saw the capital of Cambodia, Phnom Penh, that was just beginning to recover from decades of war, misery and torture. The official portion of the trip ended in Saigon. Some members of our party went on to Indonesia; others of us ended the official tour at that point. I sought to return to Da Nang, where I served for a time as a U.S. Army aircraft mechanic. I was stationed at a place called Marble Mountain, assigned to the 245th Surveillance Aircraft Company; we maintained a fleet of OV-1 Mohawks. I wanted to return there. The travel agent who managed all this arranged it for me and two of my colleagues to fly from Saigon to Da Nang. We arrived in Da Nang, checked into our hotel, caught our breath and then began touring the region. We drove out to Marble Mountain, about 8 or so miles south of the city. We got out of our vehicle and began walking along the sandy stretch just north of Marble Mountain. I noticed a few remnants of aircraft hangars. I saw pierced-steel planking we used to taxi our aircraft that had been repurposed as fences for residents; they hung flower pots from the PSP. Our guide, a young woman named Mai — a dedicated communist who also was delightfully efficient at her job — began explaining to me how the Vietnamese had swallowed our entire military presence there after we left the fight in 1973. That’s when it hit me! Right in the gut! The war was over! The shooting was occurring when I arrived 20 years earlier; it was still occurring when I left. The war had ended. At that point, I broke down. I sobbed like a baby. My friends who came to Da Nang with me backed away, as did Mai. They left me alone. Then just as suddenly as it came, it stopped. I wiped the tears off my face. Took a huge breath — and realized I had just shed emotional baggage I had no idea I was carrying around. So it went. A career in print journalism enabled me to experience a kind of catharsis I never saw coming. It sits at the corner of Ninth Avenue and Harrison Street in downtown Amarillo, Texas. It currently houses what is left of the Amarillo Globe-News, where my friend worked for more than 20 years and where I worked for nearly 18 years. It symbolizes a once-proud community institution. The Globe-News once stood tall as a pillar of the community it served with distinction and pride. Indeed, back in the good old days, the evening edition of the Globe-News — the Globe-Times — earned print journalism’s highest honor: the Pulitzer Prize for Meritorious Public Service. The editor of the Globe-Times, Tommy Thompson, uncovered corruption in county government. He and his staff hammered at the issue. Their hard work brought about reforms and needed change. The Pulitzer board recognized that effort by bestowing the paper with its highest honor. That was in 1960. It seems as though it happened even longer ago than that. Print journalism is undergoing enormous change at this moment in history. Amarillo is enduring some serious pain and suffering. It now functions with a staff that is a fraction of its historic size. The corporate ownership changed in 2017. Morris Communications, which owned the paper since 1972, sold to GateHouse Media. Morris is no longer publishing daily newspapers. GateHouse’s goals for the G-N and for the Lubbock Avalance-Journal, which it purchased, are not entirely clear. Amarillo no longer has a newspaper that stands tall as the publication of record. Neither does Lubbock. 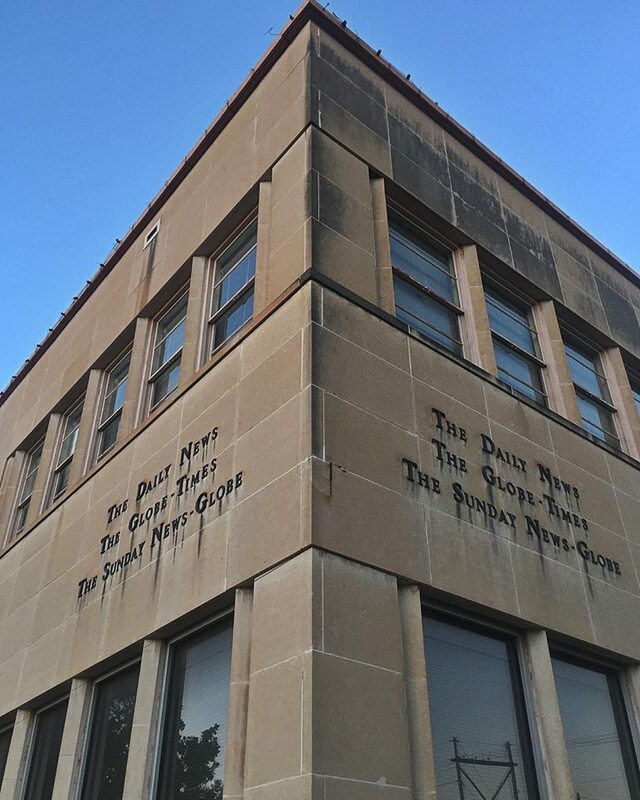 The G-N closed its printing presses a couple of years ago; it now prints its editions in Lubbock. The papers now are being led by “regional” executives: a publisher who resides in Lubbock but spends part of his week in Amarillo; and an executive editor who lives in Amarillo but spends part of her week in Lubbock. Two men with a combined 60-plus years of experience in Amarillo have left the business. The newspaper is going to feel their absence in ways they cannot yet measure or define. Take my word for it, the paper’s mission will suffer. I regret to note, further, that none of this is unique to the Texas Panhandle or the South Plains. My most recent experience in print journalism, though, involves Amarillo, a community my wife and I grew to love when we moved there in 1995. My newspaper career delivered many more good times and enjoyment during the years I spent at the Globe-News. Then a lot of things changed. Now I am watching from some distance as the newspaper that drew many craftsmen and women together and delivered many shared experiences struggles to find a new identity. I am having serious doubt that the Globe-News will find it. I am saddened by what I see happening to the craft I pursued for 37 years. It’s in trouble. Print journalism as I pursued it is being eaten alive by technology it never saw coming back in the 1970s when I entered that line of work. I won’t buy into the nutty notion that newspapers are no longer viable purveyors of information. They continue to do great work covering the news of the day. They continue to keep the public informed on policy matters that have direct impact on citizens of this country. Nor will I accept the “fake news” mantra that keeps pouring out of the pie holes of conservative politicians who seek to discredit the media that are merely doing their job. What is happening to newspaper saddens me because it need not happen in the manner that is occurring. I want to point to the last stop on my career, the Amarillo Globe-News, as an example of what I see transpiring. The newspaper that once won print journalism’s greatest honor is now a mere shadow of its former self. In 1960, the Globe-News actually comprised two newspapers: The Daily News and the Globe-Times. The Globe-Times captured the Pulitzer Prize for Meritorious Public Service by exposing county government corruption. The paper was led by the legendary editor Tommy Thompson. If you look at the G-N’s building on Van Buren Street, you’ll see a plaque commemorating that honor. The Van Buren Street building is vacant. The paper’s new corporate owners, GateHouse Media, decided to move what is left of the newsroom across the parking lot to the company’s other office building facing Harrison Street. That structure has an inscription over its front door: “A newspaper can forgiven for lack of wisdom, but never for lack of courage.” That quote came from another legendary figure, Globe-Times publisher Gene Howe. I was proud to work for the Globe-News for nearly 18 years. My career ended on Aug. 31, 2012. I resigned after being phased out of my job in a corporate reorganization. The paper has continued to wither since then. It’s not because of my absence, but rather because — as I have viewed it — the paper has not kept pace with the changing information trends sweeping the world. It sells far fewer copies each day than it did a decade ago. It publishes its daily editions with far fewer employees than it did even five years ago. 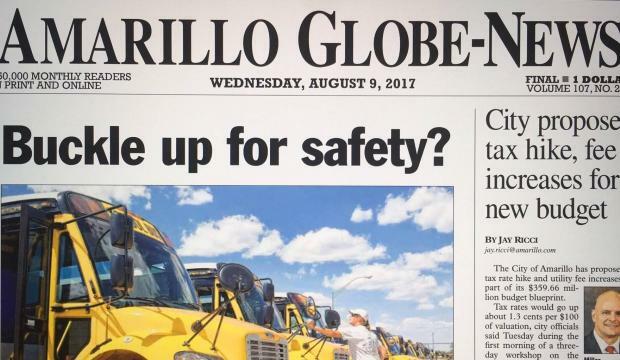 The Globe-News no longer operates a printing press in Amarillo; its editions are printed in Lubbock and then shipped back to Amarillo for delivery to what remains of its subscriber list. The newsroom used to operate in a different building from where the advertising department works. That was by design. When I arrived in January 1995 I was told that the newspaper wanted to keep the functions separate to protect the integrity of the news-gathering team. There would be no pressure to publish stories that advertisers might want. Today? The depleted newsroom staff now sits side by side with an equally depleted advertising staff in the first-floor office space on Harrison Street. 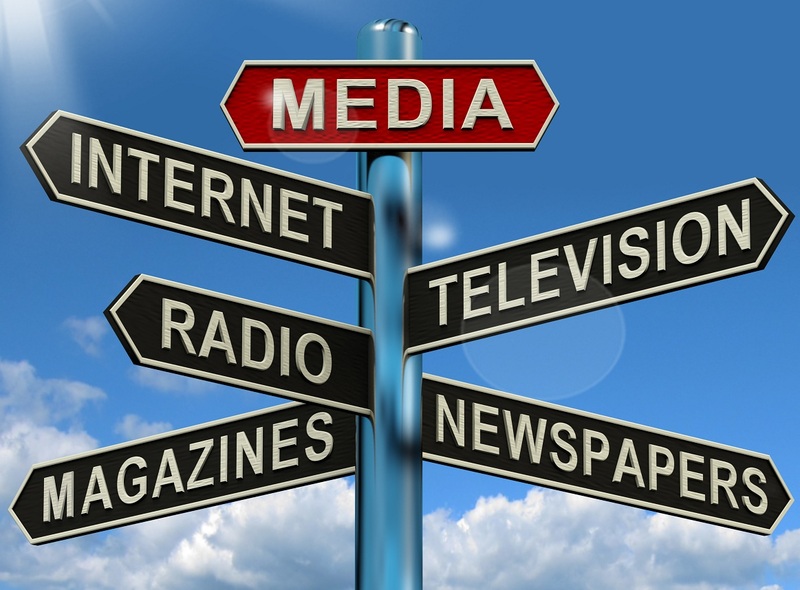 I am acutely aware that other media markets are undergoing tremendous pressures as well. 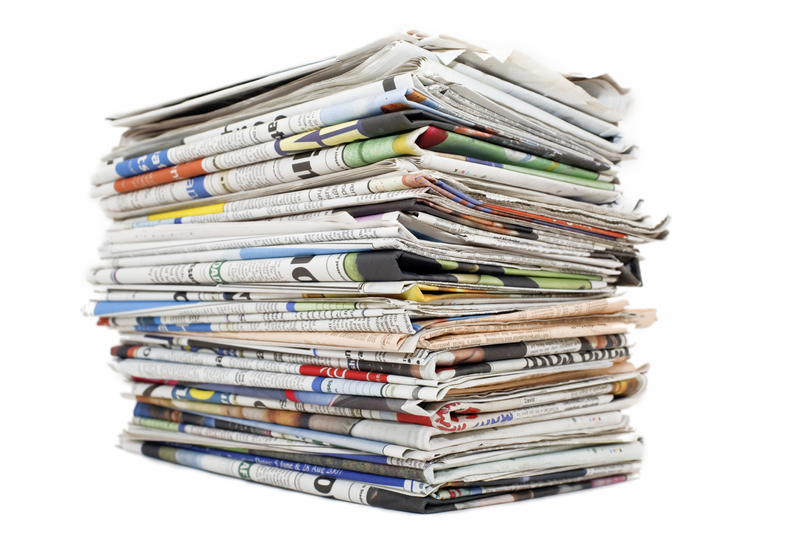 Some major metro markets no longer even have newspapers delivered daily to subscribers’ homes. They face pressure from the Internet, from cable TV news, from the plethora of outlets that provide information that could be legit — or it could be, um, fake. Meanwhile, newspaper reporters and editors continue to do their jobs the way they were taught to do them. The problem, though, is that much of the public isn’t paying attention. And a once-flourishing and proud craft is paying a grievous price. I look at what is left of the place that served as my last stop on a career that gave me so much happiness and satisfaction — and I am saddened. I never got the chance to serve on a Pulitzer Prize jury, to select winners in print journalism’s top prizes. This year is going to produce a Pulitzer juror’s “nightmare,” if you want to call it such. The media, namely the folks who work in the print end of it, have distinguished themselves grandly while covering compelling issues of the day. Were it not for the media, we wouldn’t know about the various crises threatening to swallow the Donald J. Trump administration whole. 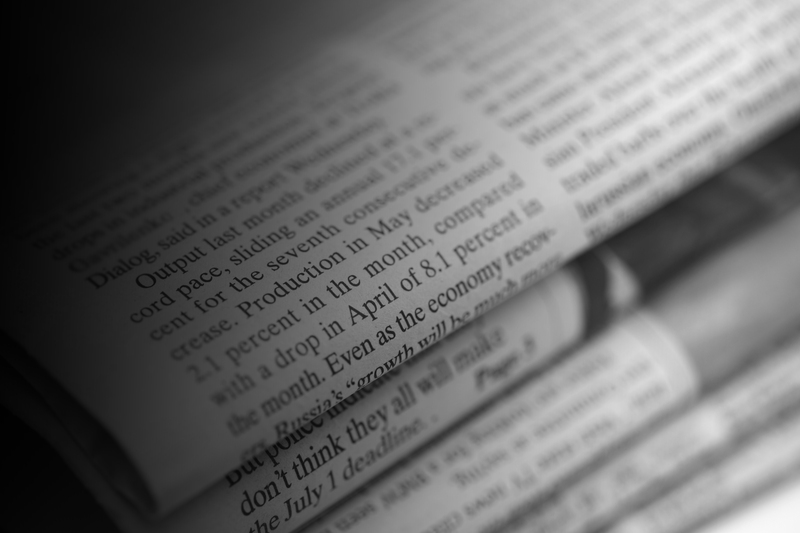 Many of print journalism’s top guns — at the Wall Street Journal, The New York Times, and Washington Post — have been distinguishing themselves with top-drawer reporting that would give Pulitzer jurors fits. It’s interesting in the extreme to me that so many of the cable news outlets keep referencing stories that have been broken first by print organizations. Then something else happened this summer. Two killer hurricanes boiled up out of the warm water offshore and delivered death and destruction, first to the Texas Gulf Coast and then to the Caribbean and to all of Florida. Reporters, photographers and their editors all have worked very long days and nights trying to cover the story of human misery. Newspapers from the Coastal Bend, Houston and then to the Golden Triangle have answered the call. Indeed, one of my former employers — the Beaumont Enterprise — has called at least one of its veteran former reporters out of retirement to assist in telling the community’s story as it seeks to recover from Hurricane Harvey’s savage wrath. The story of media intrepidity is being repeated now in Florida as that state struggles to regain its footing in the wake of Hurricane Irma’s own brand of immense savagery. There you have it: severe political tumult and potential constitutional crises and Mother Nature’s unimaginable power have combined to create circumstances that make the media answer the call to duty. To think, as well, that the president of the United States refers to these dedicated men and women as “the enemy of the American people.” Donald Trump knows nothing about the dedication to their craft — and in many instances the heroism — they exhibit in trying to report important issues to a public that wants to know what’s happening in their world. Good luck, Pulitzer jury, as you seek to find winners in this most eventual period in history. To my former colleagues, I am immensely proud of you. I have just received a valuable lesson in marketing and (if you’ll pardon the expression) self-promotion. It was delivered to me in the lobby of a movie theater by a woman who had a kind word about the work I used to do. I purchased a ticket to a film I went to see with my son. When I stepped away from the ticket counter, a nice lady said, “I love your work at the paper, John.” I turned to see who made the remark. The woman said she “I love what you write,” and gave me a thumbs-up. I thought for an instant: How do I handle this? “Well, thank you, but I’ve been gone (from the Amarillo Globe-News) for five years now,” I said. The lady looked surprised. “You have?” she asked. “Yes, nearly five years now,” I said. “Well, I’m embarrassed,” she said. “It’s OK, no worries,” I said. Then she pivoted. “Well, I miss you.” I thanked her again and went on my way. Simple, yes? Of course it is! That’s going to be my standard operating procedure from this day forward. To be candid, I’m kicking myself in the backside as I write this brief blog post. Five years after quitting my job I’m still getting these kinds of greetings from strangers. To be totally honest, I find it gratifying, even when I meet folks who might have disagreed with what I wrote for the Globe-News back in The Day. Spoiler alert: I’m planning to post a blog entry in a few days commemorating the five-year anniversary of my departure from daily print journalism. That event hit me hard in the moment … but life has turned out to be far better than I ever imagined. 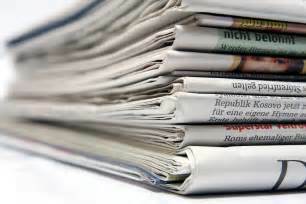 It includes newspapers — although not exclusively, to be sure — with pages that contain straight news; some pages contain entertainment; they all have advertising, which businesses purchase and which gives newspapers their profitability. They also include pages of opinion. They are editorial pages and related pages with other commentary submitted by, oh, syndicated columnists and local contributors; these pages also include letters from readers who want to express themselves on the issues of the day. Well, it now appears that traditional newspapers are receding into our memory. The Poynter Institute is telling us that newspapers — a little at a time — are ceasing to publish daily opinion pages. They are reverting to a “digital first” model. They need to save money, given that advertisers aren’t spending as much money on print publications these days. Newspapers need to keep pace with the change in the industry, so they’re going to this digital model. I became a reporter in the mid-1970s aiming to chronicle events in my community and report them to people who had an interest in being informed. My career gravitated over time to the opinion pages. I would assume the role of editor of a small suburban daily in Oregon City, Ore. Then I would move to Beaumont, Texas, to write editorials for a larger newspaper; I eventually became editor of that page. After a period of time, I would move to Amarillo to become editor of two papers’ editorial pages. I saw my role in opinion journalism as a complement to what those publications did on their news pages. It was to provide perspective, context and, yes, opinion about the issues on which the papers were reporting. It was a valuable task. I was proud of my craft. The editor of the paper makes no apologies for it. Nor should he, I guess, given that he still works for an employer who made this decision. I came of age in journalism during its heyday. A couple of young reporters for the Washington Post were digging for information about what a president of the United States was doing to subvert — allegedly — the U.S. Constitution. I wanted to take part in that craft, even if I couldn’t do it at Ground Zero of what was an exciting time to practice it. I have never lost my love of that work and what it represents. However, I sure understand that it is a new day in journalism, the craft I practiced for nearly 37 years. Perhaps it’s time to admit that I am glad to be gone from it and that it’s a better fit for youngsters.